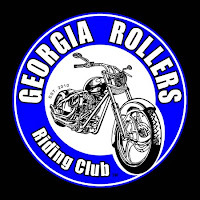 The Rollers Riding Club was founded in 2009 by a group of friends and riders from diverse backgrounds. They ride a wide variety of motorcycle brands and styles and are open to all riders of freeway capable bikes. The club is a family oriented AMA chartered motorcycle riding club that enjoys riding and socializing together. Their rides range from short 2 hour dinner rides to day rides to the North Georgia Mountains. They also have overnight riding events and even week long trips.